Specialty windows come in a variety of shapes and styles. 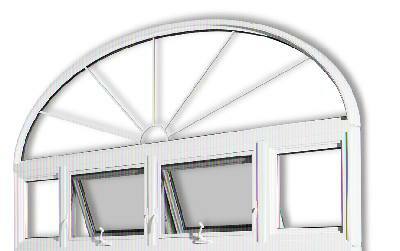 Shaped windows are generally non-operating and made from picture and fixed frame materials, although some operational models can be made. Options include round top, ellipse top, rake head, peak head, oval, cathedral, octagon and many more.